The role of information is central to the academic debate on finance. This book provides a detailed, current survey of theoretical research into the effect on stock prices of the distribution of information, comparing and contrasting major models. 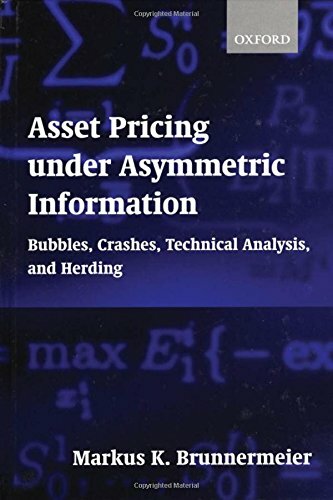 It examines theoretical models that explain bubbles, technical analysis, and herding behavior. It also provides rational explanations for stock market crashes. Analyzing the implications of asymmetries in information is crucial in this area. This book provides a useful survey for graduate students. If you have any questions about this product by Markus K Brunnermeier, contact us by completing and submitting the form below. If you are looking for a specif part number, please include it with your message.